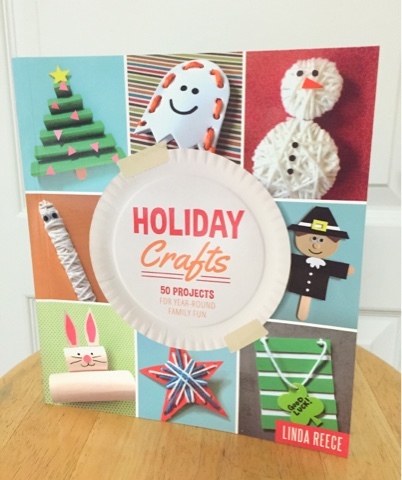 Holiday Crafts is a book full of year round crafts for all holidays or special occasions with easy to follow instructions, cheerful designs and simple supply lists that will ensure the success of any little crafter. 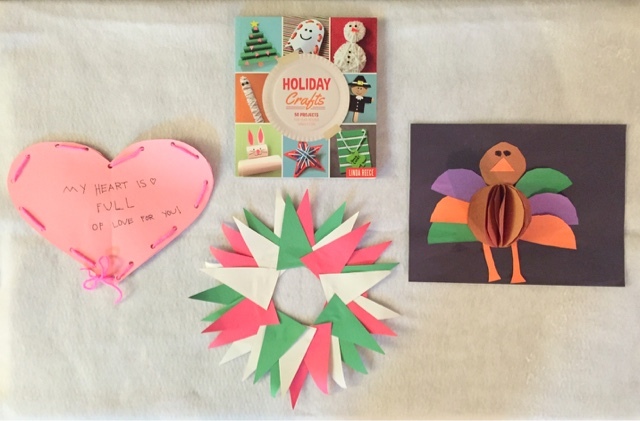 These 50 year-round holiday-themed crafts are appropriate for ages 3 to 10 year olds and guaranteed hours of fun for children and parents alike. We enjoyed family time making some of the fun crafts. It was nice to be able to spend time together doing crafts instead of watching TV or playing on the iPad. The crafts were simple and easy enough for my 6 year old twins. 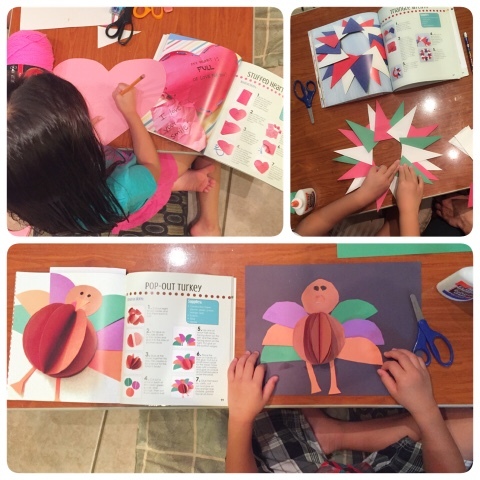 My daughter made a Stuffed Heart Valentine and my son made a Pop-Out Turkey, in lieu of Thanksgiving. My oldest daughter decided to make a Triangle Wreath but with Christmas colors instead of red, white and blue. What's great about this Holiday Crafts book is that it gives you easy to make crafts but you are able to modify it, like my daughter did. This book will make great gifts with Christmas right around the corner. 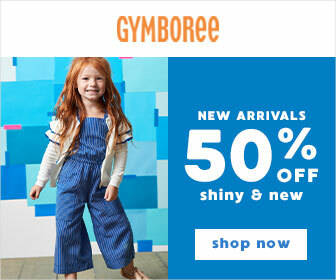 Holiday Crafts contains five crafts for 10 different holidays, including Christmas, Thanksgiving, 4th of July, Halloween, back to school, Mother's Day, Father's Day, Easter, St. Patrick's Day, and Valentine's Day. Author Linda Reece, mommy blogger and crafter, believes that spending time with your little ones doing simple crafts and activities is a perfect way to bring cheer to every holiday.